WINS specializes in manufacturing and marketing soundproof and fireproof products which are of superior quality. Each of our products is made to pass through a strict quality control process at the time of production. This is because we are very particular about quality and do not make any compromises on that front. We also make sure that our products adhere to the requirements of ISO 9001 completely. WINS Fire Protection Panel has been designed in such a manner that it perfectly meets the requirements of the fire services ordinances of Hong Kong, and the prevalent regulations of Building Service. Globally accredited and recognized testing centres and laboratories have stringently tested WINS Fire Protection Panel. Some of the noted names include RED of Hong Kong, PSB of Singapore, and BRANZ of New Zealand. That is not all. Global Fire Consultants in the UK have also assessed this board for an additional field of applications. This clearly indicates the superior quality of the product. WINS has carried out all fire testing to British standard BS 476 parts 4, 6, 7, 20 and 22. This makes WINS Fire Protection Panel totally compliant with guidelines and protocols where BS EN standards are followed and accepted. 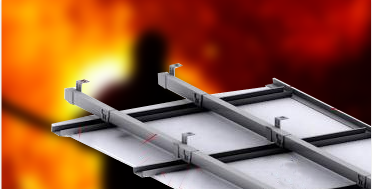 One board of 9mm used in a partition is capable of giving more than 4 hours of continuous fire resistance. Along with fire resistance training, other tests have also been carried out by WINS for the mechanical, chemical and physical properties of the board. As expected, in every department, it has shown outstanding results, particularly when pitted against competitors in the market. Again, it has been approved by International Fire Consultants Ltd (IFC), a renowned organization involved in the assessment of fire rating products. WINS Fire Protection Panel has also shown equally impressive results when assessed on sound reduction. This makes it a complete product worth investing on. 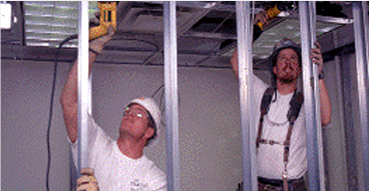 WINS comprises a skilled team of engineers, who have vast experience in the concerned field. They are always ready to offer advice on applications and appropriateness for purpose. If you have any doubts or queries, you can reach out to them and they will be more than eager to help you. Please visit our Contact Us page and convey your particular requirements. We will get back to you as soon as possible with our advice and suggestions. © Copyright 2014. Wins Consultants Ltd . All Rights Reserved.